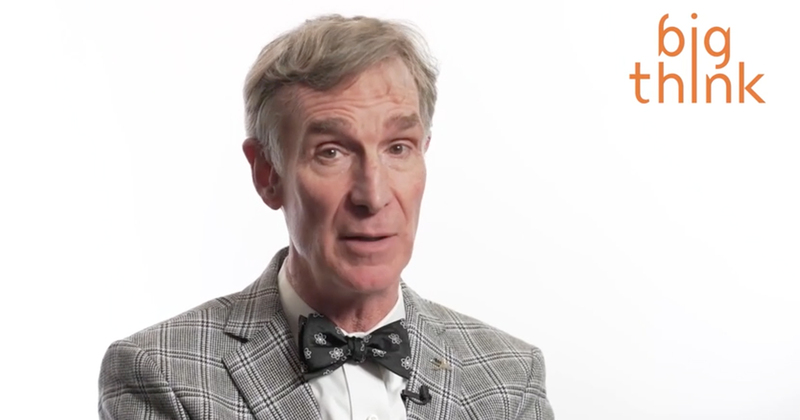 I regret to inform you that, much as I love him, today Bill Nye (the science guy) finds himself on the Wall of Shame here at Growth Bias Busted. Nye has been making science interesting for television audiences since the 1993 debut of the Disney series, Bill Nye, the Science Guy. You have to love him for using his media skills and popularity to defend the truth about climate change (and about evolution) on just about every cable and television network, and across the Internet. Hey Bill Nye, What’s the Best Way to Handle Overpopulation? Her second question will surprise you (watch the video to find out what it is)! One would expect Nye to either offer the most studied and publicized world population projection, or to contradict that projection with sound science from another source. The former, the United Nations Population Division’s most recent World Population Prospects’ mid-range scenario pegs human population to rise above 11 billion by the end of this century. Now, I have my doubts that we’ll get there because of the limited resources Nye dismisses in this video. If Nye were going ignore the UN projection, then I’d expect him to consider resource limitation and climate change, and choose a number considerably lower, not just by a billion or two. The truth is, we’re busy liquidating the planet in order to poorly feed 7 billion, and that would be true even if we managed to eliminate waste and improve distribution. I like Bill Nye. He is doing some great work on climate change communication. I appreciate him tackling the overpopulation subject, but I also believe he’d like to get it right. I’d like to suggest he talk to some experts (not economists and growth profiteers), and brush up on his world resources and population dynamics (feel free to call or write me, Bill, and I’ll connect you). This video does a disservice. Nye can do much better! I’ll be watching for new and improved overpopulation information from him in the near future.